Mohoram is a young man of 27 years old. 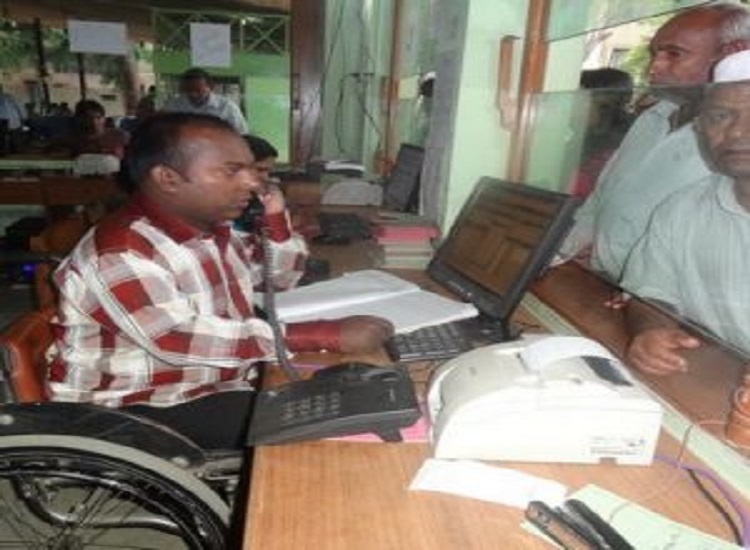 He is a wheelchair user and an employee of CRP since 2002. He was born at Natore, a town in the northern part of Bangladesh around 1986. He was affected by polio at only 18 months of age. He uses a manual wheelchair to move around and perform his daily works.When first realized about his disease, his parents took him to local healers of village known as “KABIRAJ” for traditional treatment, but without any positive result. He took vocational training at CRP on computer literacy in the year 2002. After the completion of his training he joined CRP as receptionist. He is the main earning member of his family. Back at home at Natore he established an organization called DPO (Disabled Peoples’ Organization). One of his greatest achievement is, in a wheelchair he successfully traveled long 25,728 Kms. He used buses and trains to travel this distance through many countries - Bangladesh, India, Nepal, Tibet, China, Kazakhstan, Russian Federation, Ukraine, Poland, Germany, Switzerland, Liechtenstein, Austria, Italy, Czech Republic, Belgium, England and Unites States of America. This travel was titled “Mohoram’s Wheels”, which started on 25th June 2011. He is always very positive about his life. He says, “we must do, because we can do, because we have to do”.